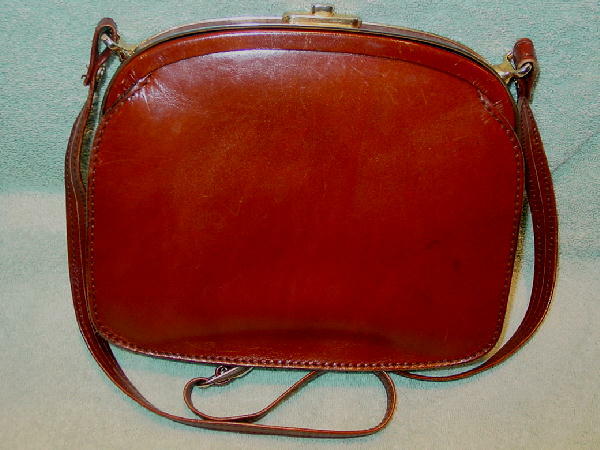 This vintage leather purse is in a dark saddle tan. To open, you push down on the top center button and at the same time pull outward on the leather tab. 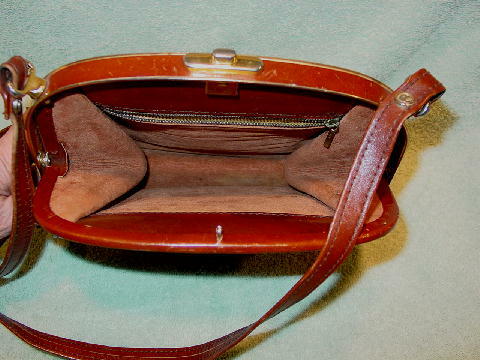 There is a front flap with a hidden snap closure and a large pocket which is lined in a light reddish brown brushed cotton. The inner lined section has a zippered pocket. The exterior leather extends 1 1/4" into the interior front and back. 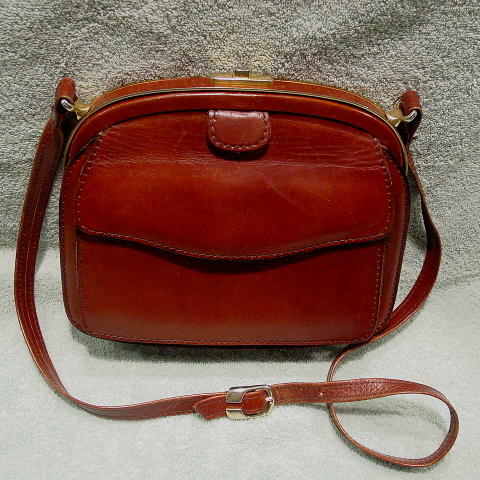 It has a 42" long by 5/8" wide adjustable shoulder strap. The front and back have scuff marks and the front flap also has a diagonal scrape mark. The top has a metal rim with a leather strip down the center.